Google kills content authorship. Marvel launches a Tweetdeck for Instagram. These stories, and more, in today's Morning Social Media Newsfeed. Google announced Thursday that its search results will no longer display the names of authors associated with presented articles. “Authorship markup is no longer supported in Web search,” Google announced on the company’s official authorship support page. TechCrunch The company first started showing authorship on its search results pages a few years ago. At first, this was a pretty complicated process (I remember a Google engineer walking me through it back then), but over time, it got pretty easy and you basically just had to link your Google+ profile to your site and use a little bit of markup on your posts (rel=”author”). VentureBeat The reason for dropping the Authorship program? Apparently, the information is not terribly useful to people who make search queries and has even distracted from the search results. Search Engine Land The roots of the Authorship project go back to Google’s Agent Rank patent of 2007. 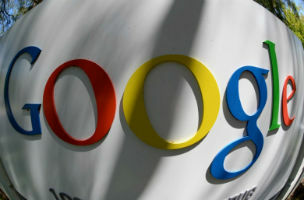 As explained by Bill Slawski, an expert on Google’s patents, the Agent Rank patent described a system for connecting multiple pieces of content with a digital signature representing one or more “agents” (authors). Marvel, the London-based prototyping platform, has created Picdeck to organize your Instagram feed. Like Tweetdeck, the web app allows you to add columns based on users or hashtags, making it easier for users to follow live updates on certain topics, something that Instagram on the web is notoriously bad at. The web app was created in one of the company’s hack-days, so it’s still lacking a lot of features, like mobile optimization, support for multiple accounts and the ability to create posts within the app. Photographers may already be familiar with Pixlr, Autodesk’s browser-based photo editor, and its mobile companion Pixlr Express for iOS and Android. Thursday, Autodesk announced Pixlr in a new format: a desktop version for Mac and Windows. The new desktop edition offers many of the mobile Pixlr’s extensive collection of tools — such as fun stylize filters that turn your photos into sketches and watercolor paintings. Facebook announced some eventful news for page administrators, as the social network introduced desktop and mobile News Feed ads and insights for events, as well as a new look for users’ events pages. Pages were previously able to create right-hand-side ads for events, and the social network said in a post on the Facebook for Business page that this capability will be extended to desktop and mobile News Feed Ads “in the coming weeks,” via the ads create tool and Power Editor. In its most recent argument in it’s privacy suit, Hulu has submitted court docs claiming that they had no way of knowing that user data would be sent to Facebook via the like button on its pages.